1 paintings by salvador dali | This Blog Rules | Why go elsewhere? 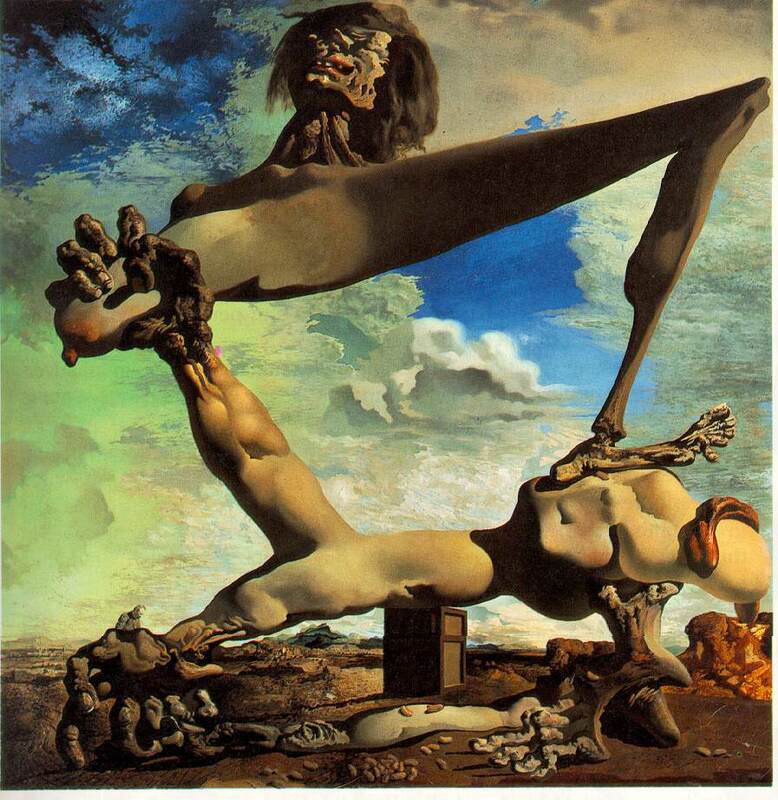 Salvador Dali is often called the master of surrealism and when you look at his work, you certainly understand why. The surrealism movement actually came from the anti-rationalism movement called Dada. Andre Breton wanted to create a movement in which artists can manifest their protests against the world through painting and this is how surrealism came to life. There are many things one can say about his work so here are 10 of the most beautiful Salvador Dali paintings. 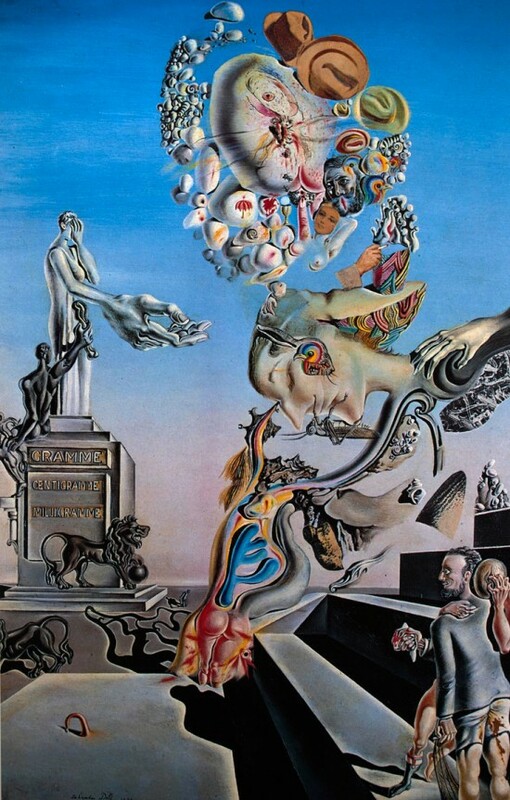 Dali began his work by experiencing with cubism and he was self-thought in this art since there were no cubist artists in Madrid when he started and this is the first thing that made Salvador Dali painting to stand out of the crowd. As he walked through life he had different views about different subjects and whenever he changed his mind about something, you could see it in his paintings. Check out this Salvador Dali paintings list to understand why Dali was truly an artistic master. The Persistence of Memory is considered to be the best out of Salvador Dali surrealist paintings. Dali was highly influenced by the Renaissance masters but he also found inspiration in different other sciences such as physics. 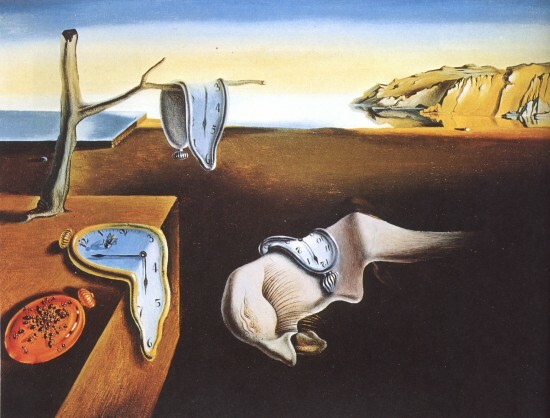 The Persistence of Memory is based on Einstein’s relativity theorem and it depicts clocks that appear to melt away, accentuating the idea of time not being fixed. 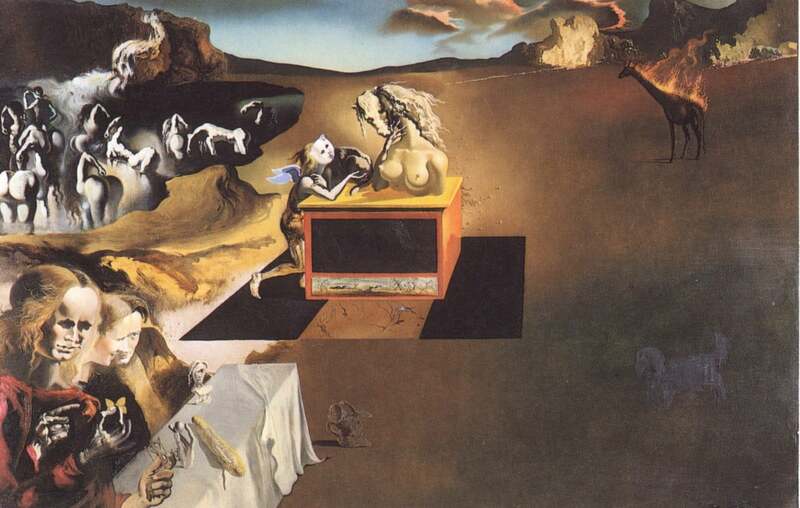 Dali came up with the idea of melting clocks while watching a piece of runny Brie cheese. Metamorphosis of Narcissus is based on the Greek myth of Narcissus, a man who was punished by the Gods to fall in love with himself after seeing his own reflection in water. 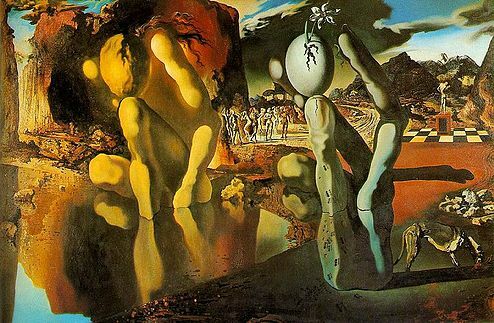 Dalis interpretation of the myth can be seen in his surrealist painting which also has the egg drawn in it, the egg being a symbol often used by Dali in his work meaning the beginning of life and hope. Although elephants can be seen in many of Dali’s works, The Elephants is the first painting in which an entire work of art is dedicated to the symbol of the elephant. 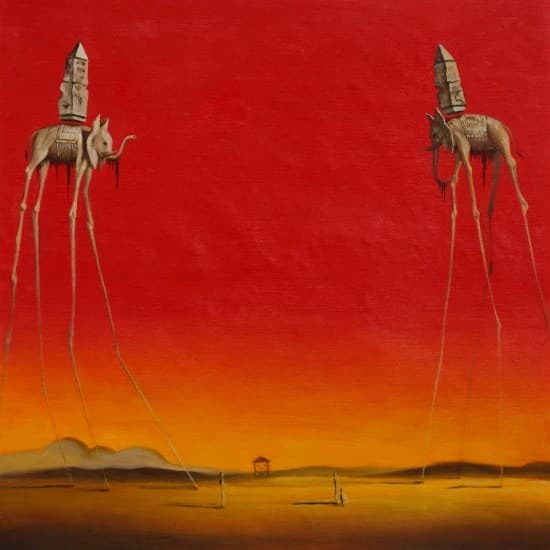 Moreover, elephants are often associated with the idea of heavy weight and greatness but Dali chooses to counter that idea by showing the elephants with unusually long legs. 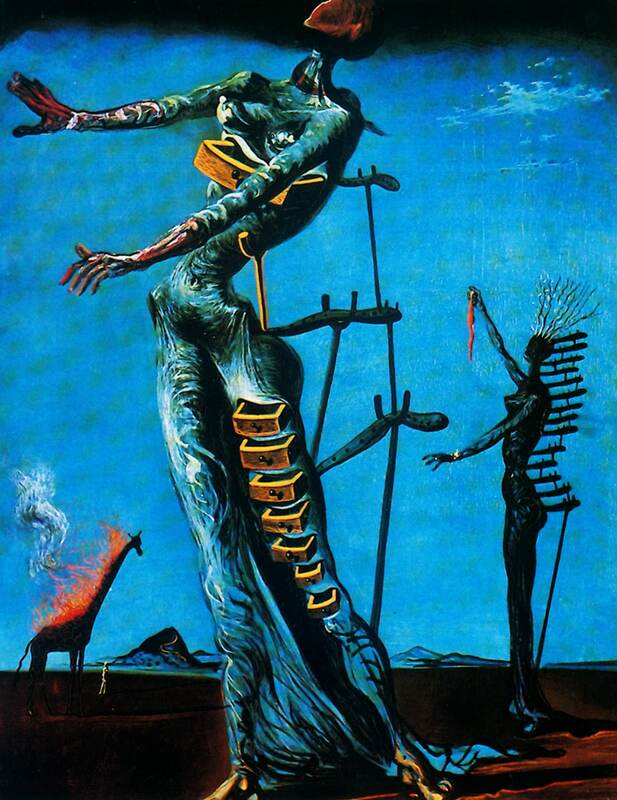 Between 1940and 1948, Dali was exiled in the United States. Although he did not actually say what his political views are claiming that he is Dai and no more, The Burning Giraffe depicts his own interior struggles with what was going on in his country during World War II. The Face of War was painted during the end of the Spanish Civil war and the beginning of World War II. Dali often found himself inspired by the idea of war and he sometimes believed he was capable of war premonitions through his paintings. The Lugubrious Game is not only an oil painting but also a collage on cardboard. 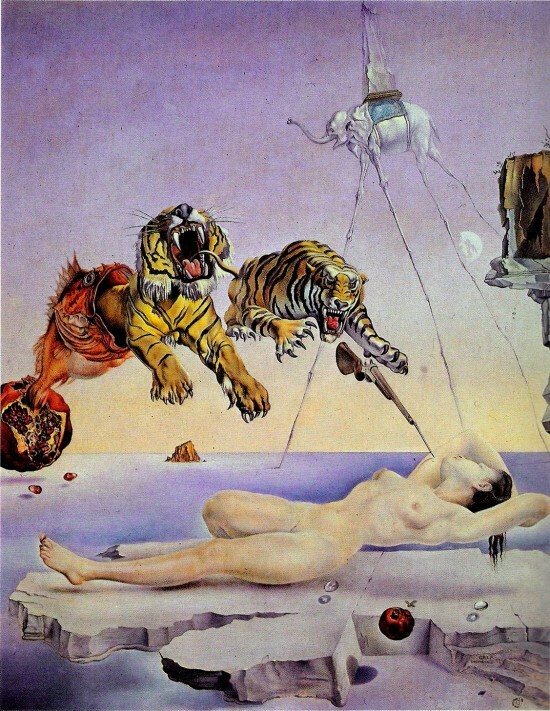 The name of the painting was given by Paul Eluard, a famous poet and this was the painting who actually made Salvador Dali part of the surrealist movement. Inventions of the Monsters was purchased by the Art Institute in 1943 and has been part of their collection ever since. Often in his landscapes, Dali uses the monsters of his imagination to make his ideas understood. Sigmund Freud has a heavy influence on Dream Caused by the Flight of a Bee Around a Pomegranate a Second Before Awakening. Inspired by Freud’s theories about dreams and dreamscape, Dali tries to capture the essence of one’s dreams and present it on a canvas. As you can see, many animals with different meanings have been used in the making of this painting such as the bee, the tiger or the elephant. Swans Reflecting Elephatns is part of Salvador Dali’s “paranoia-critical method” and it yet again brings forward the idea of double reflection. 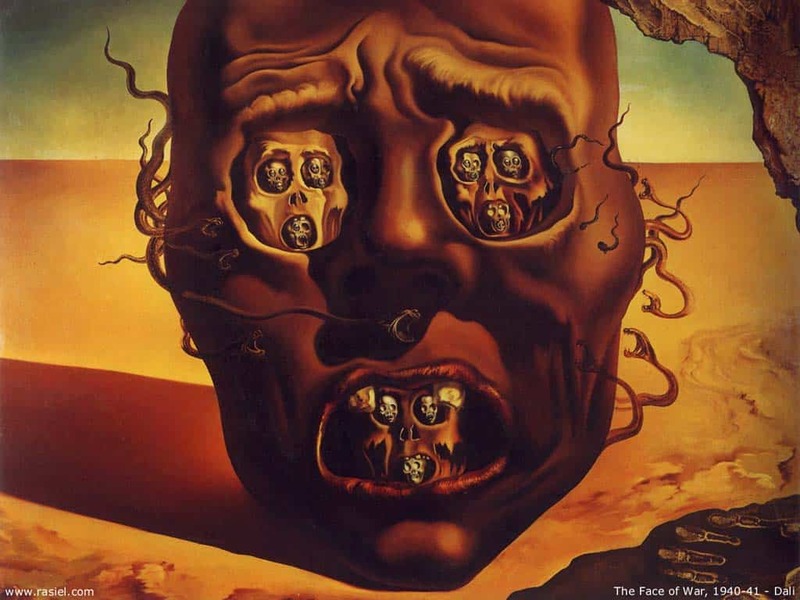 Many thoughts inside his head were perceived as having a double reflection during the thirties so many paintings by Salvador Dali in that era have this motif. Soft Construction with Biled Beans can be also known as Premonition of Civil War. The painting is currently located in the Philadelphia Museum of Art and it depicts how war can destroy the essence of being human. 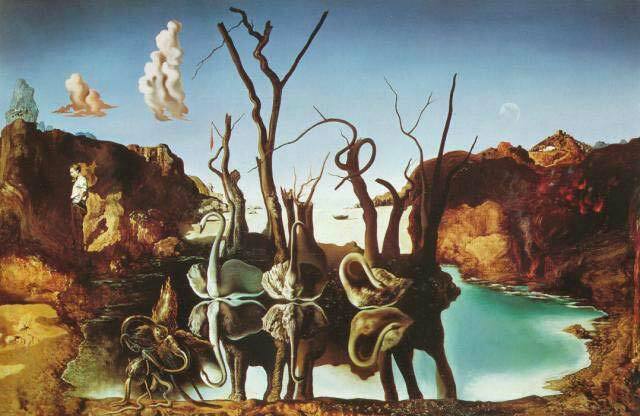 These were 10 Salvador Dali famous paintings. During his last years, Dali’s genius was overwhelmed by the loss of his wife. For Salvador Dali paintings for sale, check out Salvador Dali Society. If you are interested in a list of all of Dali’s works you can find all of Salvador Dali painting names here.